inch Length*1.25 inch Width Air Switch Button. control other related machines while controlling the garbage disposers. Color:Brushed Brass, Chrome, Matte Black, Oil Rubbed Bronze, Brushed Nickel. 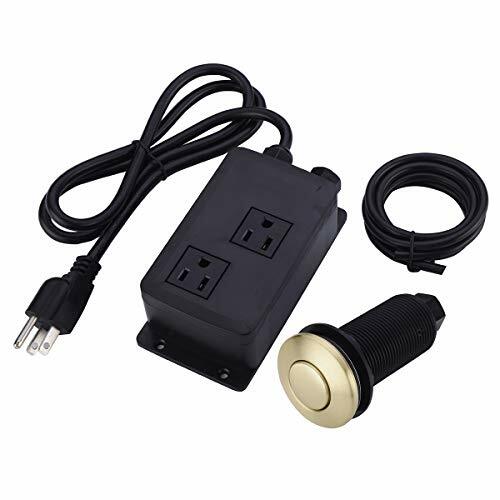 Package Included: 1x Socket box,1x Push button,1x Soft Tube,3x Mounting screws,1x Power Cord. First step :Drill a 1.37inch hole in the place to be installed, pass the air button through the hole and fix it.